Our know-how in live GPS tracking, technology and graphic design is at your service to stand out your sport event. solutions dedicated to sport and its real-time comprehension online and on TV. GEORACING wishes you a happy new year 2019! GEORACING wins the GRAND PRIX DE FRANCE INNOVATION organized by the FFSA. The GEORACING team was in Martinique to enrich the direct content of Martinique La 1ère during the Tour des Yoles 2018. 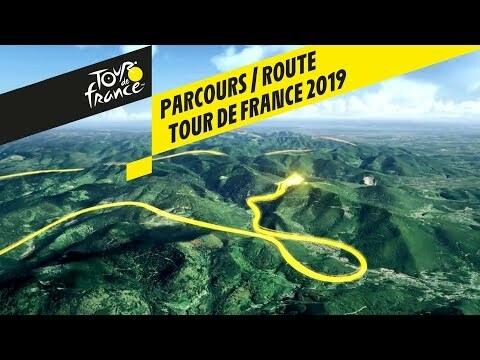 Realization of the 3D route presentation of the Tour de France 2019 and discovery of the Tracker of the Route du Rhum 2018. Last round of the GC32 Racing Tour 2018 in France in Toulon and the partnership with the 40 years of the Route du Rhum 2018. Summer events: GC32 Copa Del Rey MAPFRE, French Sailing Tour 2018, World J80, Drheam Cup, French Hot Air Balloon Championship 2018 and more to come…. An eventful year in 2018: Transat AG2R La Mondiale, Sailing Tour de France, Solitaire Urgo Le Figaro, Route du Rhum and many others.